THE Obafemi Awolowo University (OAU), Ile-Ife, has spent only a fraction of its allocation for capital projects in 2017, despite accelerated decaying of its facilities, The ICIR has learnt. While N49.2 million had been approved for OAU’s capital expenditures in the signed budget, only half of that amount was eventually released and cash-backed — in two batches of N7.4 million and N17.2 million. However, according to updated details of the 2017 budget capital releases and receipt of actual spending obtained by The ICIR, the university spent only N150,000 out of a total of N24.5 million released to it over the previous fiscal year — amounting to a meager 0.6%, thus suggesting a problem of not just underfunding of universities but underutilisation of funds. This is despite a reported inadequacy of available infrastructure and the fact that the budget was operative for up to a year. Vice President Yemi Osinbajo signed the budget into law on June 12, 2017; and in April the Federal Government extended the period for the implementation of the capital budget to June 5, 2018. Funds released to Obafemi Awolowo University by the Federal Government are not mere donations, which can be used as the institution pleases. They are given for particular capital projects proposed as part of the Appropriation Bill of 2017. Particularly, the N24.5 million released to the school was budgeted for the provision of roads, electricity, housing among other essential amenities. N8.1 million was budgeted for the purchase of new equipment, refurbishment of existing ones, and replenishing of reagent; N4 million for electrical works; N20 million for the completion of committee rooms attached to university hall extension; and N10 million for civil, electrical and mechanical works. Also, N7 million was allotted for the supply of water, and water pollution prevention and control. And then, curiously, a meagre sum of N99,500 was both proposed and approved as allocation for the ‘rehabilitation of intra-campus roads’. It will be recalled that, in June, reports emerged that OAU matriculated over 8,000 fresh students in spite of “limited facilities”, insufficient lecture theatres, and dilapidated halls of residence. A 2017 report by Campus Reporter also revealed that rooms in Moremi, Fajuyi and Awolowo Halls of Residence remained unrenovated for years, following a fire outbreak, “despite the pressing needs for more hostels on campus”. It further stated: “Utilities, such as water and power, are a luxury. Two out of three pumping machines at the University’s Dam are damaged leaving the institution with just one machine which can efficiently work for eight hours”. In February, 2016, the university management declared intention to renovate dilapidated dormitories after students shared photos of residential and sanitary facilities in bad shape on the social media. A student who spoke to The ICIR however revealed that only Awolowo, Moremi, Angola, and Mozambique Halls were “renopainted”, while others, including Fajuyi, Ladoke Akintola, Alumni, ETF and Post Graduate Halls, have been left unattended to. Confirming this, Alfred Olufemi, another student of the university, said the only thing that has changed in the halls worked upon by contractors is the colour. The toilets are still like they used to be, he noted. Oddly, OAU is the only institution under the Federal Ministry of Education which not only did not spend up to N12 million in the said fiscal year, but spent less than N200,000. University of Ibadan, which received a cash-backed capital release of N32 million, and University of Lagos, which got N24.6 million, used every kobo. Ditto for the Michael Okpara University of Agriculture, Federal University, Lafia, among others. University of Calabar, out of a release of N77 million, has an unused balance of N4, University of Abuja, N8, and University of Jos, N76. However, other agencies and institutions under the Education Ministry with balances above N10 million include the: Universal Basic Education Commission (N974 million), National Library of Nigeria (N76 million), National Examination Council (N123 million), Mass Literacy Council (N47 million), and National Teachers Institute (N287 million). Also on the list are Federal Polytechnic, Bonny (N55.6 million); Federal College of Education, Kano (N10.8 million); Federal University, Lokoja (N64 million); and Federal Unity Schools (N110.8 million). Not using up funds released for capital projects in a year may be a non-issue if such funds can be held onto for use in the following fiscal year. That is, however, not the case. Unused funds are required to be returned to the federal treasury after a budget’s implementation period lapses. According to Nkemdilim Ilo, Chief Executive Officer of the Public and Private Development Centre (PPDC), legal backing can be found for this in section 16 of the Finance (Control and Management) Act. It will be recalled that, in April 2017, the House of Representatives threatened not to allocate any funds to the Ministry of Transportation in the year’s budget as it failed to spend N243 billion released to it under the 2016 budget. Despite several attempts, The ICIR was unable to get an explanation from the management of Obafemi Awolowo University, on why more than 99 percent of its capital funds for 2017 were unused and what the spent amount (N150,000) was used for. Isiaka Aransi, OAU Dean of Student Affairs, after he was contacted, declined to comment. Instead he requested that questions should be directed to the Vice Chancellor as “he is not in the right position to provide answers”. However, calls placed to the Vice Chancellor, Eyitope Ogunbodede, a Professor of Dental Public Health, on different days were not answered. 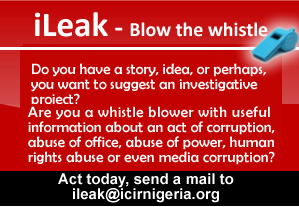 Likewise, Abiodun Olanrewaju, the university Public Relations Officer, did not answer calls from The ICIR. Texts sent to their phones, requesting for clarification, were also not replied.